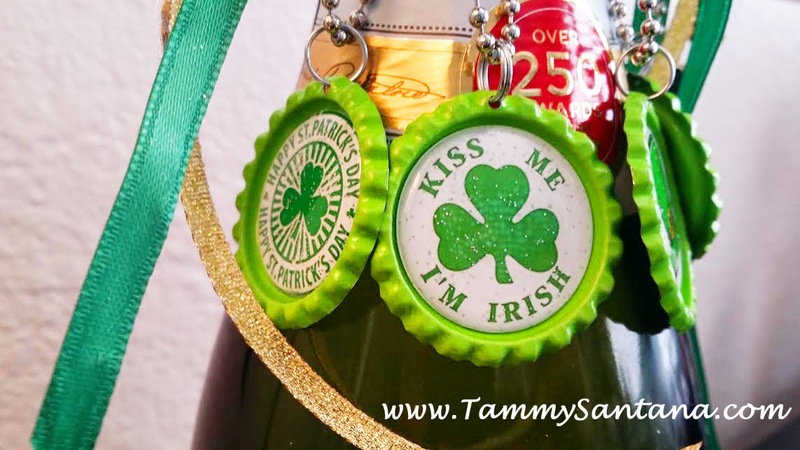 If you are going to a St. Patrick's Day party, and need a cute hostess gift, this is quick and easy! 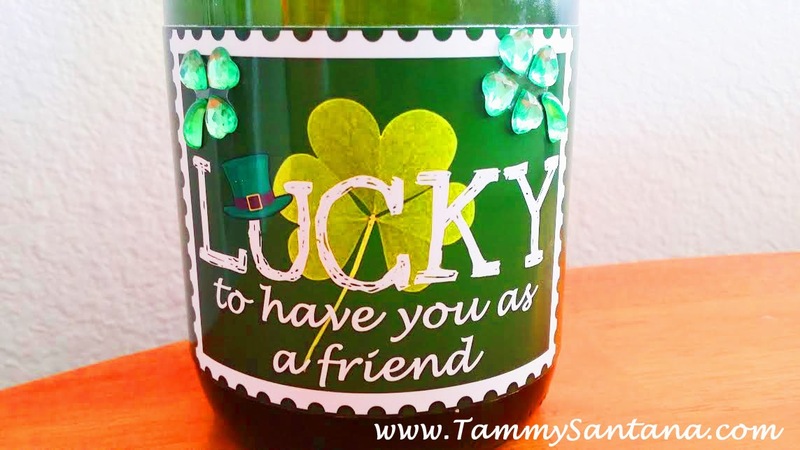 A personalized label is always fun and easy to attach using a Xyron machine. 1. I found this free printable online and resized it using Photoshop to the same size as the label on the bottle. 2. I printed the label on glossy photo paper and ran it through my Xyron machine. 3. 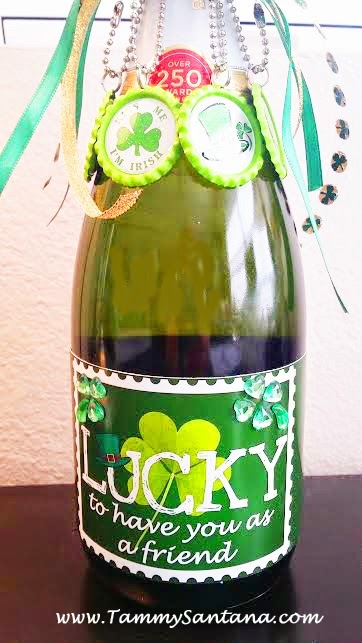 I applied it to the bottle and added a couple of the gem shamrock stickers I had left over from my other St. Patrick's Day projects.